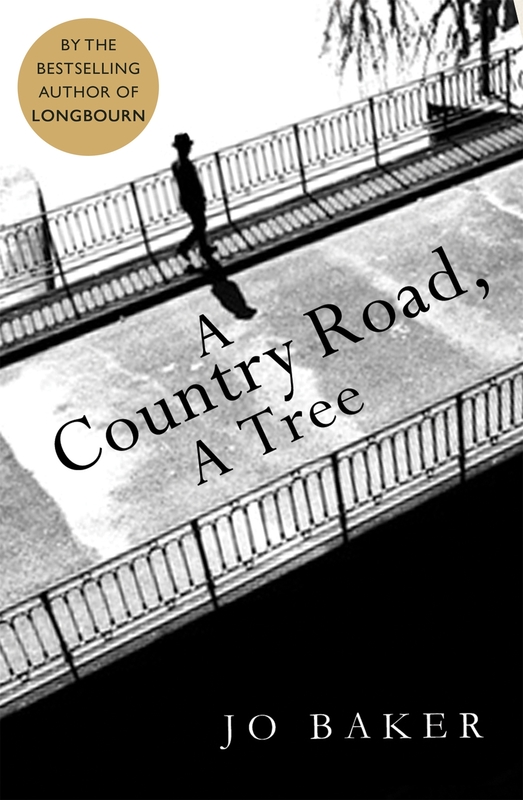 Jo Baker’s A Country Road, A Tree is an emotive novel that spans the World War Two experiences of Nobel Prize–winning author and playwright Samuel Beckett. On the heels of Baker’s bestselling work Longbourn, an homage to Pride and Prejudice, her second novel shines under critical spotlight. Samuel Beckett is introduced to the reader first as a child who is disenchanted by Ireland, and then as a young writer in 1939, who is staying with his partner Suzanne in Paris. Beckett’s fascinating life is portrayed through blunt prose and the lens of an ‘unnamed’ narrator—we follow his decision to remain in occupied France rather than return to a politically neutral Ireland, his dependence on James Joyce and other reputable writers and artists, his involvement with the French Resistance, and his and Suzanne’s escape into hiding following the fall of Paris. These real-life experiences held enormous influence over Beckett’s post-war writing, and would provide the inspiration for Waiting for Godot, and the novels Watt and Molloy. These works presented a style significantly sparser than that of his earlier writing, and earned him the Nobel Prize for Literature in 1969. 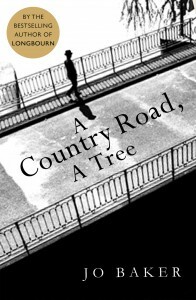 A Country Road, A Tree focuses largely on Beckett’s relationship with Suzanne, framing their struggle to love each other within a war narrative that builds towards epiphany. Having spent his early career influenced by Joyce’s superfluous, ‘the more words the merrier’ stylistic mindset, the end of war sees Beckett deciding that silence and sparse prose make for a depiction of life much closer to the truth. In a similar manner, Baker cleverly plays with language, structuring the novel in the same bare-bones style that Beckett ultimately decides on. A Country Road, A Tree is separated into seasons, and is delivered to the reader in elegantly fragmented expressions of thought that continually seem to be holding something back. Initially, I was slightly put off by this—I wanted to know more about this unnamed man, and for Baker to erase the distance between reader and narrator. This anonymous narrator depicts a perspective of war so universally applicable that for a good deal of the book I felt a little cheated. The mind could be anyone’s! But, of course, that is the point. Because war happened to artists, soldiers, lovers, doctors, to the young and the old, and to Samuel Beckett. And to live beyond 1945 was to do so with other people. For some this means family, for others colleagues or friends, and for Beckett this means Suzanne. Theirs is a relationship consecutively attacked by the brutality, the uncertainty and the trauma of wartime. From their beginnings as a young, innocent couple, Beckett and Suzanne are compelled to remain together for survival and face the horror and sadness of watching each other change into someone they no longer recognise. Towards the end of the novel, the warm love between a fellow writer-in-hiding Anna Beasley and her partner, also named Suzanne, provide a shocking contrast to the novel’s protagonists. And yet Beckett and Suzanne’s love remains—it digs its heels into the ground and refuses to budge. These two characters need each other as equally as they wish to be alone; in addition, while many women in this novel are instructed by their husbands, Suzanne spends as much time supporting Beckett as she does needing support herself. It is a relationship built on equality, and perhaps that is why it survives. In the end, A Country Road, A Tree is a heart-wrenching and desperately beautiful portrayal of how beauty can be carved out of tragedy. Creating art from an experience of war is not a new concept; bookstores are bursting with texts inspired by these experiences. But there is something poignant about Baker’s text, something that is suggested by its title. ‘A country road, a tree’ is the opening stage direction for Waiting For Godot, a play in which two characters are waiting for a stranger to arrive, and in which nothing else much happens at all. Anticipation earned this play its acclaim—a sense of something important to come, something one must survive the present to reach. In a sense Baker’s novel is Waiting for Godot, except that in this case Beckett is waiting for Godot, and Godot is Beckett—the Samuel Beckett who will go on to write books and plays paradoxically full of absence, texts sparse, raw and wanting. Baker’s anonymous protagonist is waiting for the writer he will become. As for me—I’m waiting for Baker’s next novel. This entry was posted in Arts, Books and tagged book review, books, fiction, lip lit, literature, samuel beckett. Bookmark the permalink.